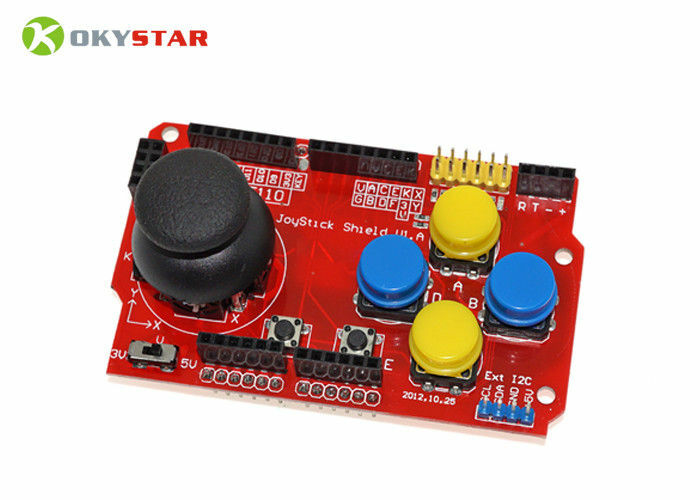 The Joystick Shield connects directly on an UNO, Leonardo or MEGA type plate and allows to have a control plate quickly and without complications. The joystick is analog and is directly connected to the analog inputs of the Arduino, in addition you can press to add another function. The board also has 4 buttons with bezel connected to the digital pins. It is delivered assembled with the pins, pushbutton and joystick, it is not necessary to solder, so you just need to connect it and you are ready.